This has a bit of everything, a fairly tame start but some amazing views and a great technical, fast descent that can't be missed. 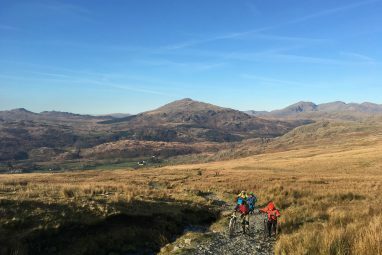 This is a Lakes classic that takes you out from Grizedale to some amazing views of Coniston Water and Coniston Old Man. There are many ways you can ride this but we’ll stick to the traditional route but will mention alternatives as we go. The route starts out on the North Face Trail. You’ll ride the first climbing section past the Elephant rock, then you’ll take the next section that brings you to a fire road. Here you’ll take a right and follow the undulating fire road for a mile or two. What you’re looking for is a single track on your left signposted Parkamoor. This is a narrow but fast trail that threads it’s way through the trees until you come to an opening with a gate. In front of you will be a couple of short sharp climbs that basically bring you to the views we mentioned before. This is a natural place to stop and take a breather if nothing else just to take in the incredible view of Coniston Water and the mountain ranges beyond. Back on your way, you descend quickly to an old farmhouse that is now hireable bunk barns from a local farm. We’ve often thought it would make a great base for a weekend of riding. Through the 2 gates then it’s a short climb to the signpost. We’re heading left but the descent to the right towards Torver is absolutely superb. If you do go this way please watch for 4×4 jeep tours that are often climbing up. Heading left you track across the fell, usually quite soggy until you reach a gate before the trees. Go through and continue to the crossroads. Here you’re going straight on into the trees. There are 3 separate fast and furious descents each separated by a path running across, again these make good natural breaks or you can just keep going to make it an epic and long descent. This cracking trail brings you out on the road just outside Satterthwaite. From Satterthwaite you can either stay in the pub, ride the road back to the Grizedale Visitor Centre, take a left and climb back up and finish with the Black run to the Visitor Centre or if you’re feeling fit, head up Breasty Haw and have a good play on the trails in the forest before finally taking the boulder run back to the Visitor Centre. There isn’t anywhere to stock up on this ride until you get to the pub at Satterthwaite. Check the mountain weather beforehand and make sure you have enough layers and a waterproof jacket in case of emergencies. Use our Lake District Mountain Weather guide for weather updates. Spares – make sure you have the basics; tubes, tyre levers, pump, allen keys and chain tool as a minimum – make sure you have the tools to make any necessary trail side repairs. Charged mobile phone & camera. Park at the pay and display car park at the Grizedale Visitors Centre. (LA22 0QJ). There are free alternatives on your left heading towards Boggle Crag but spaces are limited. Disclaimer: The purpose of this website is to give information only rather than advice. These are only rough guides and suggestions. It is impossible for us to say whether a particular route is suitable for you. 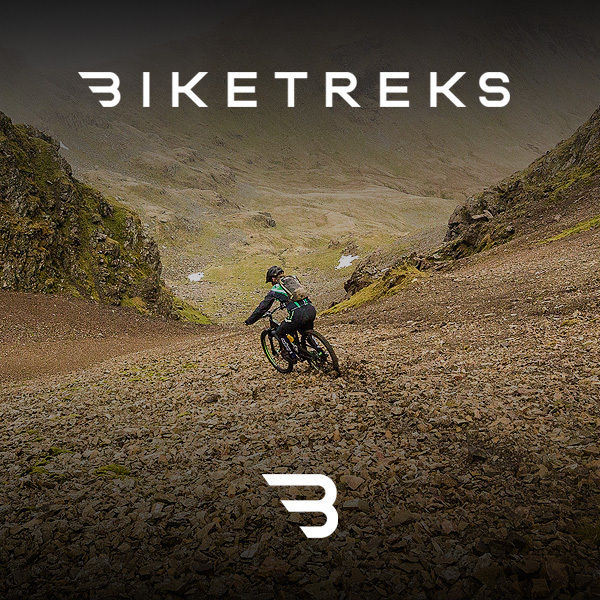 It is your sole responsibility to decide whether to ride a route and you do so entirely at your own risk. It is your responsibility to research every route, download a GPX file, take traditional OS maps, carry the correct gear, ensure that your bike is safe for purpose, check the mountain weather and let someone know where you are heading and your estimated return time. Please use common sense and help us cut down on Mountain Rescue call outs.